This past weekend I got a surprise in the mail. A REALLY good surprise, like fangirl/geek-out-time fabulous. It might not look like much to you, but for this Book Nerd, it was like striking the mother lode. What is it? 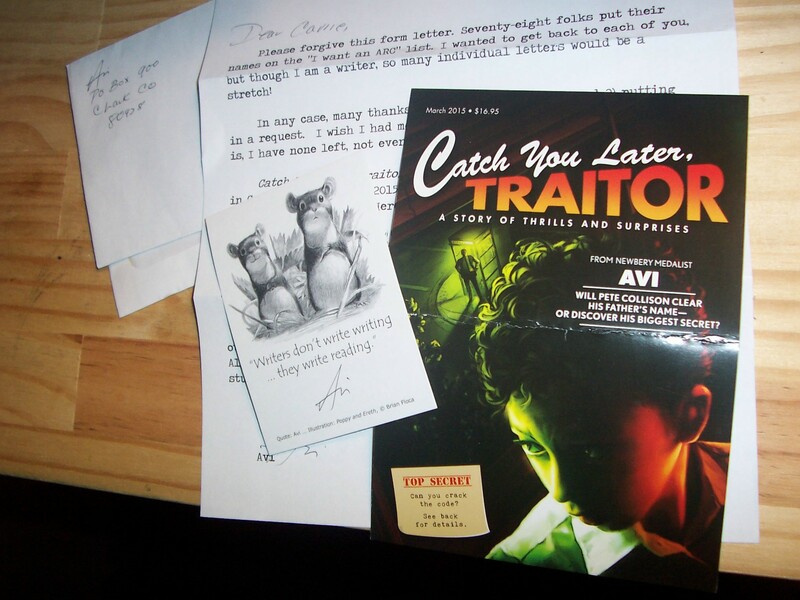 That’s a personally addressed and signed form letter, postcard for a new release, and signed book plate from one of my favorite authors, AVI. Why was this envelope of awesome such a big deal? For one thing, it was unexpected. I didn’t write to him or ask for anything. What I did do was enter to win one of ten copies of an ARC (advance reader copy) for his 2015 release, CATCH YOU LATER, TRAITOR, from his website. When he posted the winners on the blog a few weeks ago, I immediately forgot about it because I wasn’t listed. But Avi, being the awesome writer that he is, sent these thank-you-for-reading packets to everyone who entered but did not win a book. He didn’t tell those who entered, didn’t blog about, he just did it. Awesome way to pay-it-forward, and it’s fantabutitus. 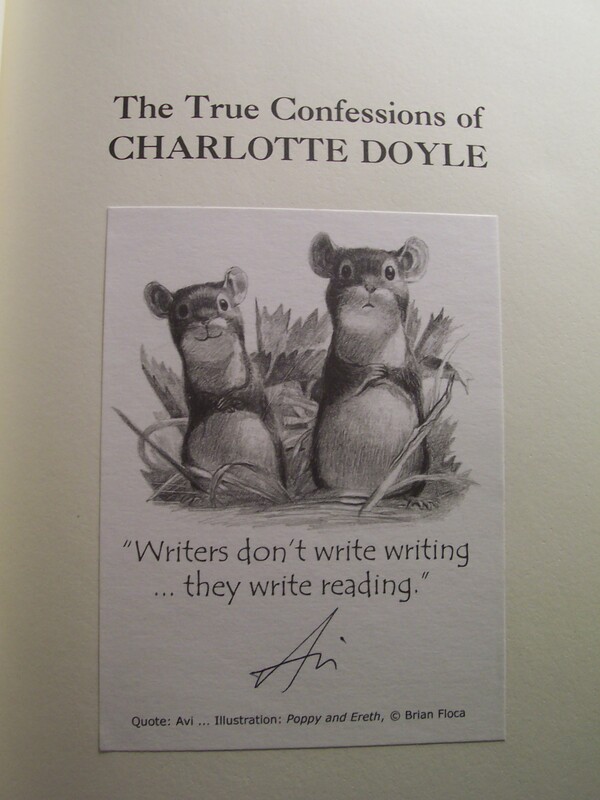 And now my second favorite novel of all time proudly wears a signed bookplate. Maybe I’ll get it personalized one day. Which book do you own that you’d like to see autographed, or is it already signed? This entry was posted in autographs, Avi, Fantabutitus, inspiration, LIFE by Carrie Dalby. Bookmark the permalink. How cool is that! Avi is a role model for us all in more ways than one!